With the Rau Kopu beach bag by Terra Nation you are ready for summer! The large bag with two shoulder straps has a capacity of 28 litres and has a handy pocket with zipper for personal items. 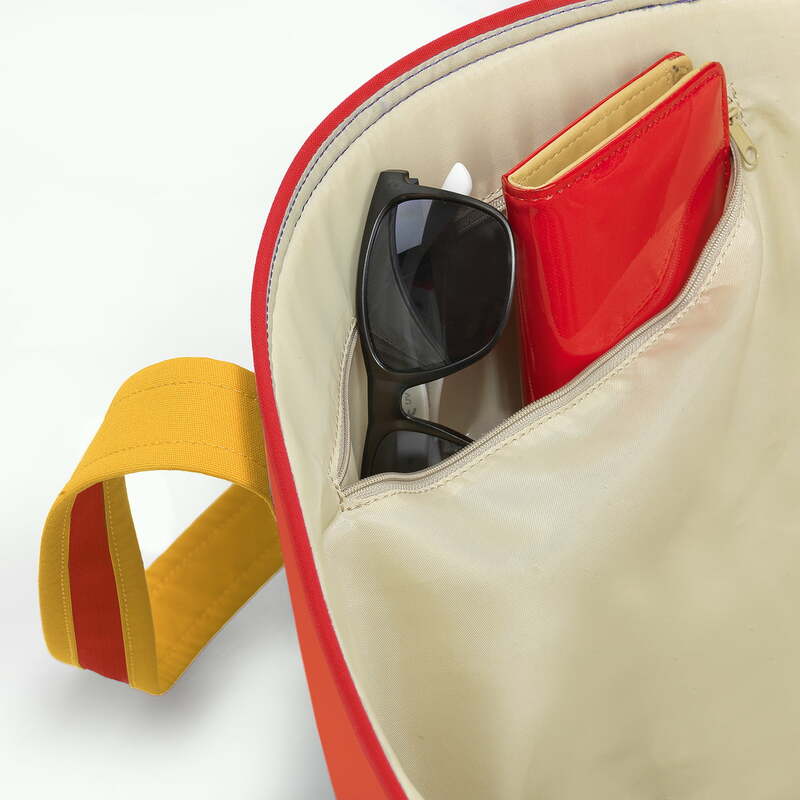 A towel, water bottle, sunglasses and your favourite book will all fit inside the bag. In line with the nature of the Easter Island, all Terra Nation designs carry traditional names from the Rapanui language. Inspired by the shape of a leaf, the beach bag bears the name Rau Kopu. 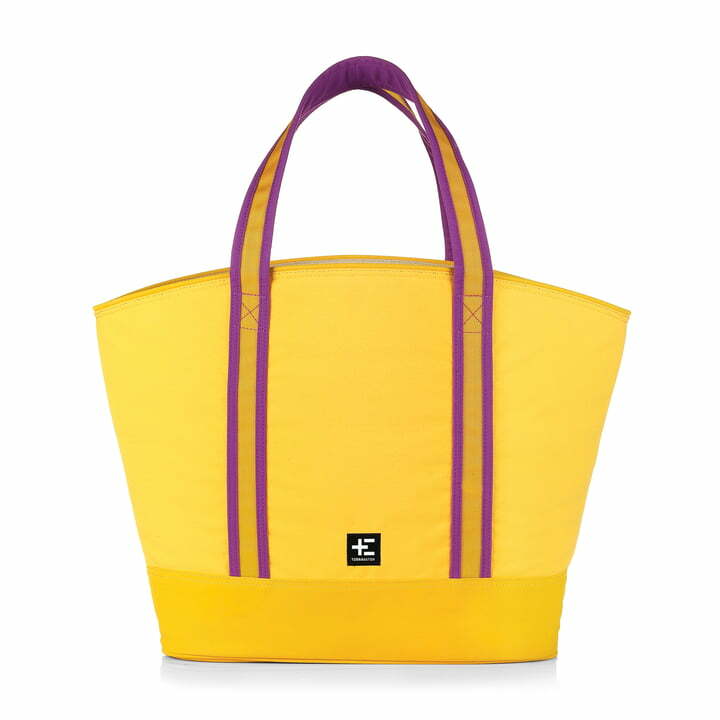 The polyester material used makes the Rau Kopu beach bag more hard-wearing, long-lasting and water-repellent. The bag is a practical companion for the next trip to the lake or the beach. 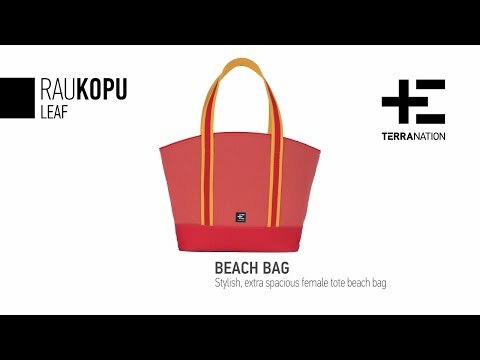 With the Rau Kopu beach bag by Terra Nation you are ready for summer! The large bag with two shoulder straps has a capacity of 28 litres and has a handy pocket with zipper for personal items. This way, there is enough space for a towel, a water bottle, sunglasses and your favourite book. Individual image of the Rau Kopu Beach Bag by the manufacturer Terra Nation in yellow. The large bag with two shoulder straps has a capacity of 28 litres. The bag features a small pocket with zipper for personal items in addition to the large compartment. This way, towel, water bottle, sunglasses and the favourite book have enough space.